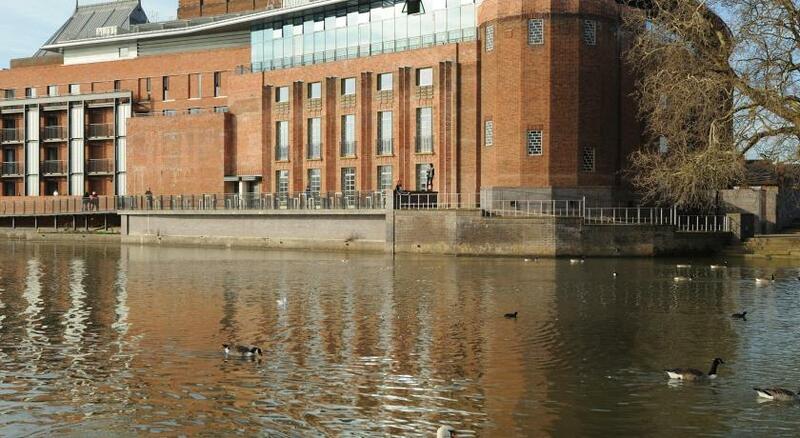 Lock in a great price for Crowne Plaza Stratford-upon-Avon – rated 9 by recent guests! Excellent service. Very good breakfast. Excellent and very spacious room. Breakfast was enjoyable, plenty of choice. Cereals, cooked and pastries plus fruit. The hotels location was good, with just a short walk into Stratford-upon-Avon, although you do have to use several busy crossings. Room and facilities as expected. Staff VERY helpful and friendly - could not be bettered. Bedrooms reasonably spacious, and very clean and the bathroom very well equipped. We were happy there with everything , it was close to our hometown and family, we will stay there again, the staff was impressive. Staff in restaurant very pleasant and efficient. Reception staff on Sunday morning gave excellent support for one of our party who had earlier fallen in room, offering to pay for taxi to hospital and extension for room vacation. Luckily not in the end needed. Very good location and very nice new hotel. Room very good, staff polite and helpful Only small point Fried Eggs were rubbery must have sat there for too long. We booked rooms including a conference facility. The conference room hospitality was extremely questionable and we are entirely unlikely to rebook at this hotel. The location, easy parking and a large grand hotel. Crowne Plaza Stratford-upon-Avon This rating is a reflection of how the property compares to the industry standard when it comes to price, facilities and services available. It's based on a self-evaluation by the property. Use this rating to help choose your stay! 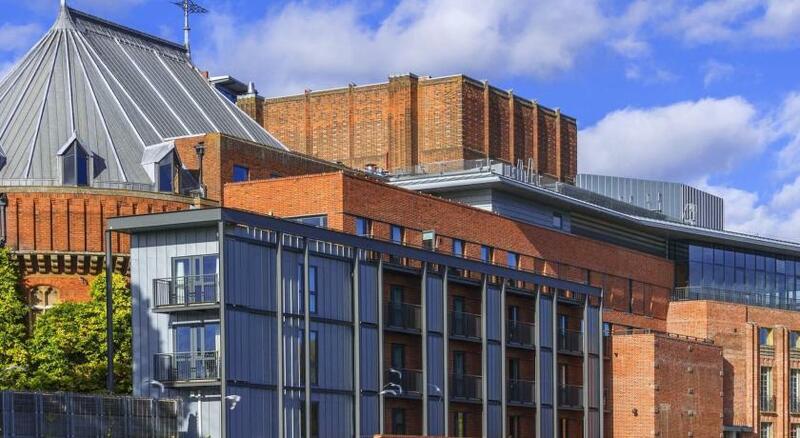 One of our top picks in Stratford-upon-Avon.Crowne Plaza Stratford-upon-Avon is a riverside hotel near Shakespeare's birthplace in Stratford-upon-Avon town center. The hotel offers modern rooms, a heated swimming pool and a riverside terrace. 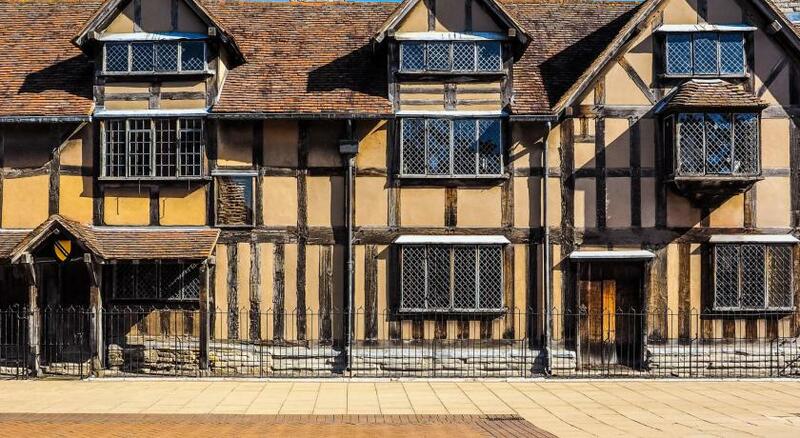 Stratford-upon-Avon Train Station is just 1 miles away. The hotel's 259 rooms offer views of the river and garden. Each room has a work space and free WiFi. Executive rooms provide guests with bathrobes and a mini-bar. 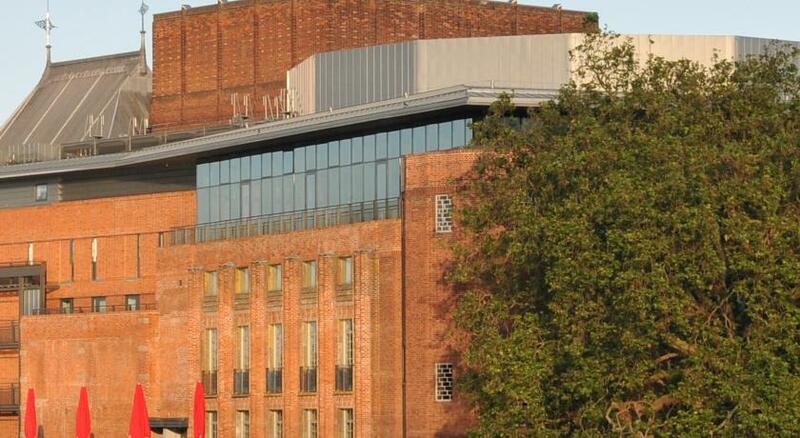 The hotel is a 5-minute stroll along the River Avon to the Royal Shakespeare Company and The Swan Theater. This hotel is set in landscaped gardens beside the River Avon, 26.5 miles from Birmingham Airport and a 10-minute drive from the M40 motorway. There's on-site car parking and the town center is a 2-minute walk away. This stylish and spacious room features a king bed, along with a sleek private bathroom, a TV, and a work area. Max accommodations 2 adults, 2 children. These stylish, large rooms feature a king bed as well as a sleek private bathroom, a TV, and a work area. House Rules Crowne Plaza Stratford-upon-Avon takes special requests – add in the next step!